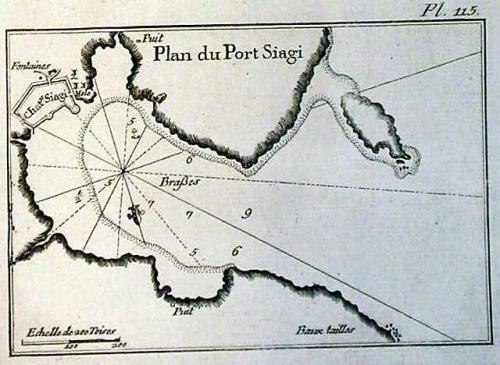 Chart of the port of Siagi (?) printed on thick paper for use at sea.. The chart shows depth soundings and anchorage points.